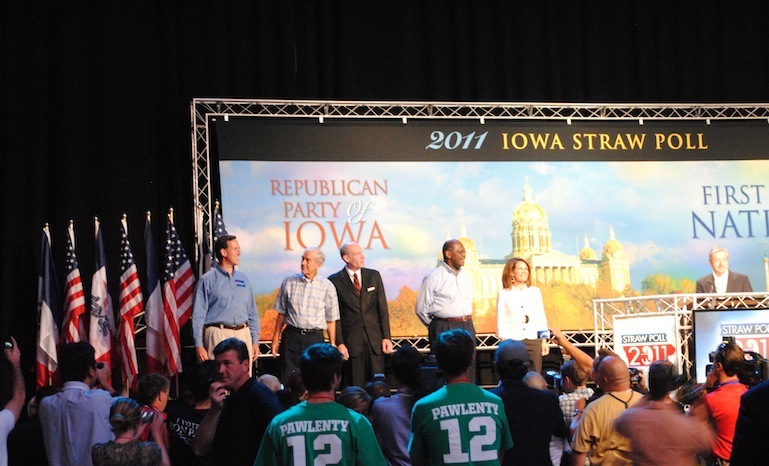 2011 Iowa Straw Poll. File Photo. Marco Rubio, Ted Cruz and Rand Paul are in for certain, having announced they are candidates for the Republican presidential nomination; and Hillary Rodham Clinton has announced the start of her campaign for the Democratic presidential nomination. While none of the announcements came as a surprise, they changed the context of the candidates’ Iowa visits as the 2016 first-in-the-nation presidential precinct caucus campaign picks up steam. Last winter, this News Quiz noted that Iowa’s caucuses sometimes seem to have mythical status. See if you know which is myth, and which is not.